Your Physique, The Rest of The Week : Are You Optimizing Your Time Without Your Fitness Coach? Sooooo you’re working with a fitness coach, huh? Congratulations on taking that step towards bettering yourself! Of all the investments in the world, you know that your body should be towards the top of that list. Here at R3 Fitness we are committed to using the most effective methods to optimize your time with us in pursuit of your fitness goals. But what about the rest of your time? As we all know there are 24 hours in a day, and 7 days in a week, which = 168 hours per week to schedule time to workout, (some of that of course you are sleeping). If you’re a member of the R3 family here, your coming in an average of 3 times per week as recommended. That’s a great start! That only leaves you 165 hours to mess it all up! Now, I know what your thinking. ” My coach is so incredibly awesome, and so is the rest of the R3 team, I just wish I could spend the rest of my waking hours with them!”. We understand, but we know that’s just now possible. That being said let’s talk about how you can maximize your investment outside of the gym! Sleep is paramount for your exercise recovery. We all know we should be sleeping 7-8 hours a night, but a lot of us just aren’t. Not only is sleep beneficial for recovery, it’s also a great booster of performance. According to a scholarly literature review, the sleep increases protein synthesis and the mobilization of free fatty acids to provide you with energy, which helps repair the muscles you broke down during your workout. Are you drinking enough water every day? We all know we need it, but just how much? 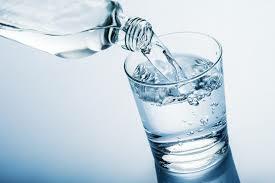 There are many opinions out there, but a good place to start is around 0.5-1 ounce of water per pound of body weight per day. So if your 140 pounds that’s somewhere between 70-140 ounces a day. Water plays a role in everything from kidney function, to waste removal, to helping your body access minerals and nutrients. DRINK THAT WATER WOULD YA! Now how is that diet going? I know you’re not working so hard with us, just to go home and eat donuts right? Here is a great link for some guidance when it comes to eating . With prone breathing we are focusing on breathing into our belly. Reminding our body how to use it’s diaphragm goes a long way in regards to keeping a healthy spine, and best utilizing our oxygen intake. The young stud assisting is just using his hands to show that the air is filling the diaphragm (take it easy ladies, he is married with a kid now). You should feel your stomach push into the ground, out to your sides, and into your back as you breath in. Here you can use your own hands as feedback. In this position be sure to keep the core engaged and your back flat to the floor as you push your belly out against your hands. 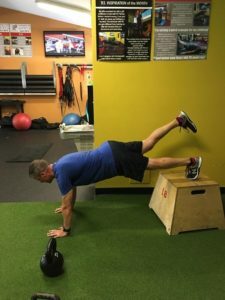 In this last breathing drill, you get the added benefit on working some overhead mobility. Use your legs as feedback, pushing your belly into them as you pull air deep down into the diaphragm. That’s it guys! Use your time wisely, to maximize your results from the hard work you’re putting in at the gym. You’re on the right track, so stay on course! 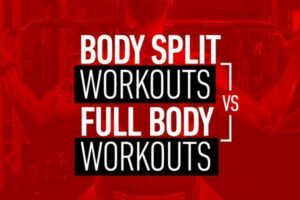 Total Body Routines VS Body Part Splits: Which is Better and Why?